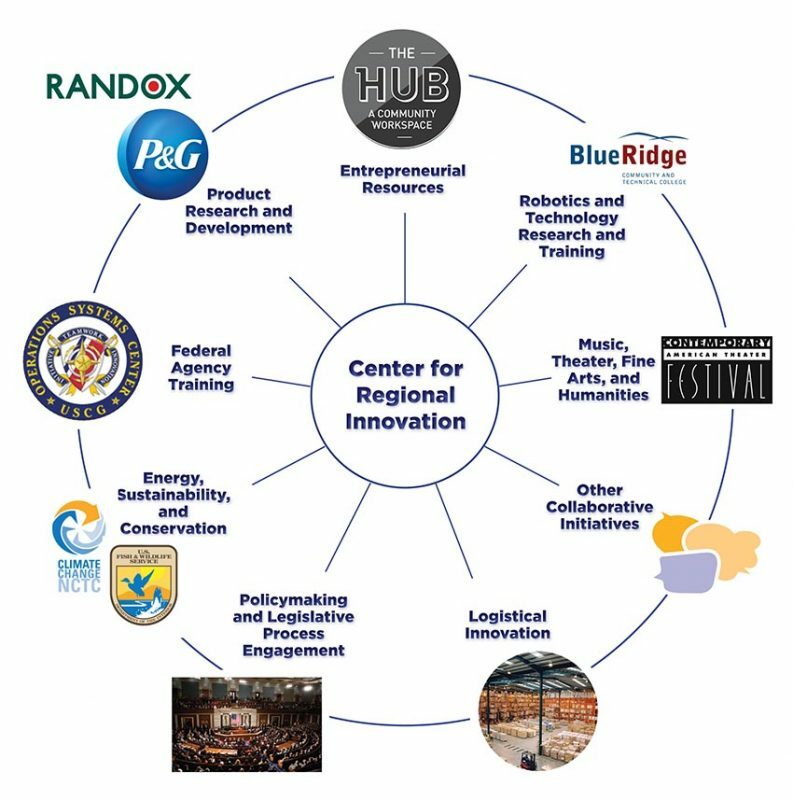 West Virginia’s Eastern Panhandle region is primed to become a regional hub for the state’s innovation economy. Proximity to major urban centers presents ample opportunity for collaboration and bringing industry growth into the state. The Shepherd University Center for Regional Innovation is a designated environment where business, industry, community organizations, and Shepherd faculty and students can work together to develop new ideas for regional economic growth. Shepherd’s new 2,000 square-foot Applied Business Lab, located in the lower level of the Dining Hall, provides a space for students to work on paid on-campus internships. These internships will be promoted through the newly formed Potomac Applied Business Company. Aside from offering an area where interns can work, the Applied Business Lab has a videoconference room and a collaborative workspace. All three spaces will be available for use by other university departments and for companies to rent.